You would think that Western technology and Eastern Zen meditation practice are as incompatible as they can get. In some ways this is correct, but modern scientific research is finding points of convergence, most interested in using applied technology to hack into brain performance and optimal brain states that would otherwise be only achievable through years of dedicated practice. The onset of these mind technologies was spurred by improved scientific instruments and tools such as FMRI, EEG devices and other latest brain scan technology that has uncovered a lot of data and information about the neurology behind ancient practices such as meditation. Through these devices, scientists were able to, for instance, examine brain scans of experienced meditators such as Zen Buddhist monks while meditating and literally see how and which part of the brain is being affected. Through this data and technologies, they can now understand which brain states can be stimulated to achieve focused and mindful states or ones in which the left and right brain hemispheres are in sync as experienced by seasoned meditators. Bio-feedback devices have been around for quite some time, but latest technology has brought this to a whole new level. In essence, bio-feedback devices are devices which give you real-time feedback of your state of mind so you can train yourself to enter into optimal states in relatively short learning cycles. Older bio-feedback technology relied on physiological cues such as heartbeat and skin conductivity. 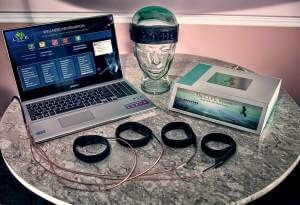 With the latest EEG technology, bio-feedback devices are now wearable EEG headbands, which detect your brain wave signals and hence your levels of brain activity. A predominance of Alpha brain waves, for instance, would show that you are in a calm mindful state, whereas higher-frequency Beta waves would show you are somehow feeling stressed or anxious. This of course is an over-simplification. The technology makes use of various measures to accurately determine your overall mental state. A trending EEG Neuro-feedback device on the market is Muse. The product, a headband wirelessly connected to a mobile app, is a state of the art brain fitness tool. The headband measures your brain activity and the app monitors and gives you visual feedback in real time. 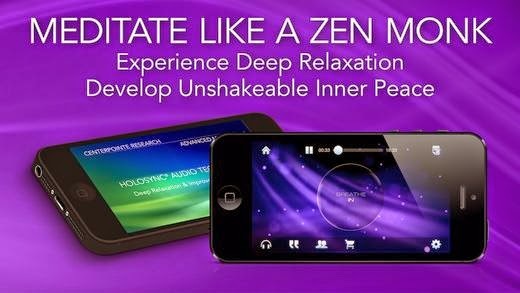 The app provides mental exercises, which can be used to train yourself gain more focus, mindfulness, enter calmer states of mind and form positive habits with just a few minutes practice a day. A great and sophisticated meditation tool. The enormous advantage of such feedback devices is obviously the possibility of reaching such mind states at an incredibly fast pace as against doing it by trial and error over a long period of time. And for those yoga/meditation purists – one word of advice: Do not downplay it or judge before you try it because you will be in for a surprise. Once again, the technology comes from scientific research in neuroscience. When clusters of neuron cells in the brain are activated and communicate with each other, they give off an electric signal within a certain frequency range. Such frequencies are called brain waves. Different states of mind, such as when in deep meditation, or conversely, when anxious and stressed, give off different brain waves. 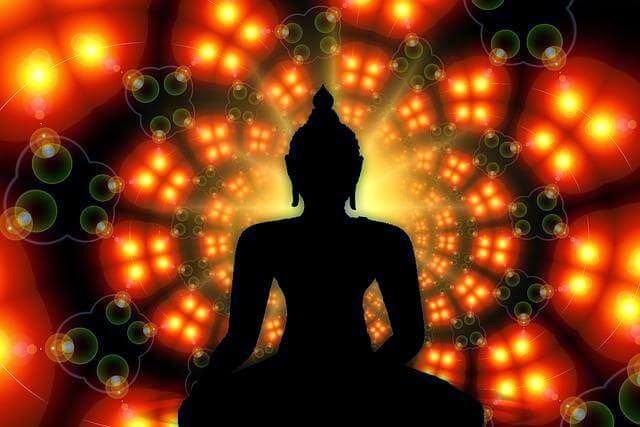 The idea behind brainwave entrainment is to have audio tracks called ‘binaural beats’ that are in the frequency of a desired brain wave, say for example, Theta waves (deep meditation, borderline wakefulness). Listening to such a frequency ‘entrains’ the brain to enter into that state – the Theta state in this case – over a short period of time. My favourite brainwave entrainment tool is OmHarmonics – one of the best on the market so far. I like the sound engineering and quality put behind this product. Another very good brainwave entrainment product I like are Holo-sync The advantage of the latter is the greater variety of specific programs they have. Nootropics are the hottest trend of the moment in both the personal development and health and fitness world. Nootropics are essentially a group of smart drugs that target cognitive and neurological enhancement most popularly memory, motivation, focus & attention and mood. There is a lot of growing interest in these smart drugs from people who require top mental performance, such as CEOs of multibillion organizations to every man and woman on the street who need to balance and sharpen their mental abilities within a demanding lifestyle. Nootropics are approved and regulated smart drugs that can be bought over the counter or internet for under $50. They can come in the normal capsule form or as a Nootropic drink as this innovative company does with Think drink. The latter product is basically a powerful attention and focus enhancer in a drink. The main active ingredients are Piracetam and Oxiracetam (a class of cognitive-enhancing Nootropics called Racetams), DHA and CDP Choline together with other amino acids and nutrients well known to aid in mental performance and overall health. Another very popular and noteworthy Nootropic is Alpha Brain, which claims a significant improvement in verbal memory, focus and mental clarity. Once again, as with the other technologies above, such Nootropics were made possible by research on the underlying neurology of optimal brain states, such as those studied on Zen meditation practitioners. OK popping a Nootropic pill might not give you enlightenment, but it certainly does help you achieve greater focus and attention, which is a great aid alongside traditional mind practices such as meditation or Yoga. So what is the bottom line? Can technology help you achieve a Zen Mind? I think the verdict is a definite yes, controversial as it may sound for some. The way I see it, is that these new technologies are powerful tools of the mind that have been arrived at by the combination of thorough scientific research and ancient practices refined over centuries and millennia. The result is certainly a sophisticated distillation of human knowledge put into practical use for the masses and this for me is a big achievement in itself.